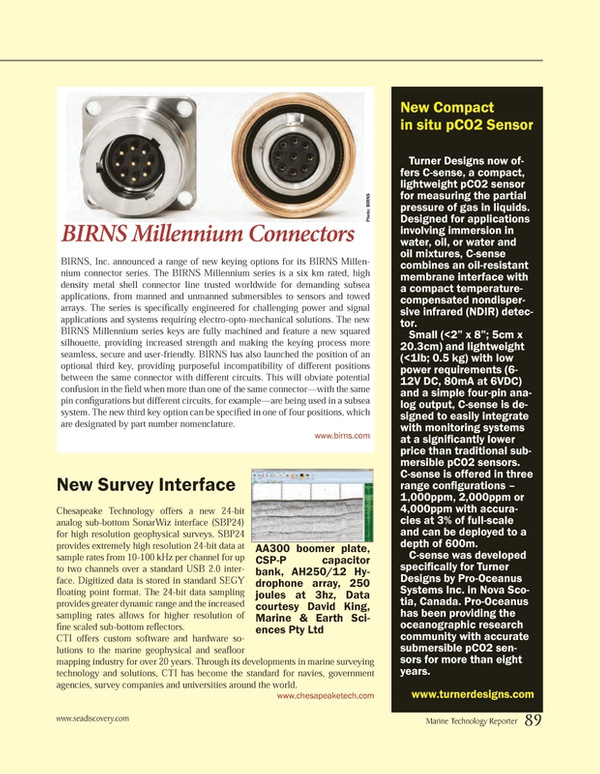 BIRNS, Inc. announced a range of new keying options for its BIRNS Millennium connector series. The BIRNS Millennium series is a six km rated, high density metal shell connector line trusted worldwide for demanding subsea applications, from manned and unmanned submersibles to sensors and towed arrays. The series is specifically engineered for challenging power and signal applications and systems requiring electro-opto-mechanical solutions. The new BIRNS Millennium series keys are fully machined and feature a new squared silhouette, providing increased strength and making the keying process more seamless, secure and user-friendly. BIRNS has also launched the position of an optional third key, providing purposeful incompatibility of different positions between the same connector with different circuits. This will obviate potential confusion in the field when more than one of the same connector—with the same pin configurations but different circuits, for example—are being used in a subsea system. The new third key option can be specified in one of four positions, which are designated by part number nomenclature.